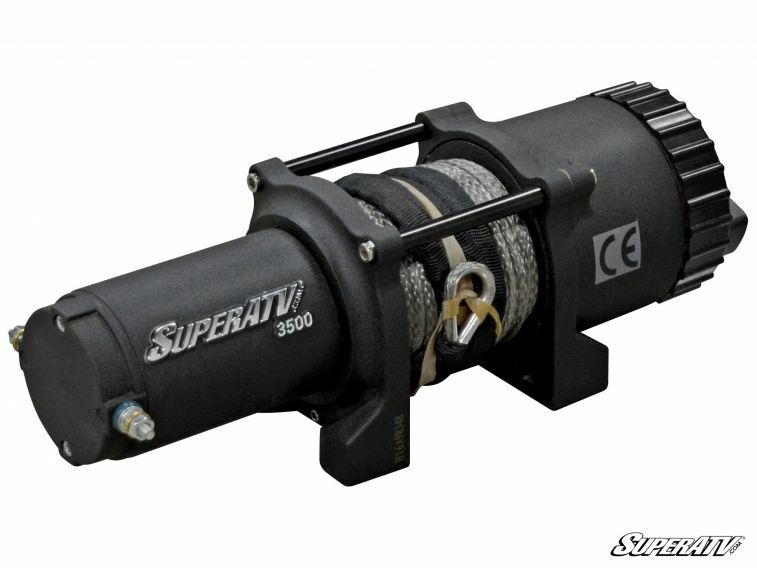 This Super ATV Synthetic Rope Winch would be an excellent thing to add to your machine! When you need an extra pull, Super ATV 3500 lbs. Winch will help you out! Has an unbeatable value. Comes loaded with brakes to hold on inclines, weather proof seals to keep your gears turning, and a smooth running electrical system. 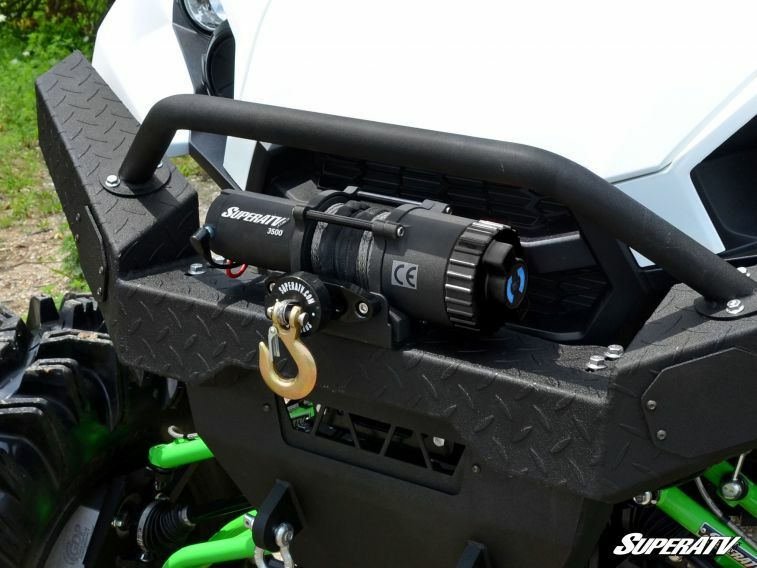 Upgrade your Ranger XP with Super ATV Winch today!! - Rated Line Pull: 3500 lbs. Bought this winch and installed on my new 2015 RZR 900. Went muddling with friends and it was used repeatedly over the day to pull other quads out of holes. This winch is amazing, using the wireless controller made the use fun and the others quickly agreed that this feature was the best. The winch worked flawlessly and the synthetic rope is another big plus. Second to none and well worth the price in comparison to other "big name" brands priced much higher. Nice winch it come with everything I needed to install it. The winch plate that Spenser sold me fit perfect. The install process went better than I thought it would. The remote works good. Overall a really nice product. Q: Will this winch work on my 2015 Polaris ranger midsize with the KFI mounting bracket? Q: Does this come with mounting plate for 2014 RZR 800 S EPS? Also, does it include dash mounted switch and remote control? How about wiring, is it included? Thanks. 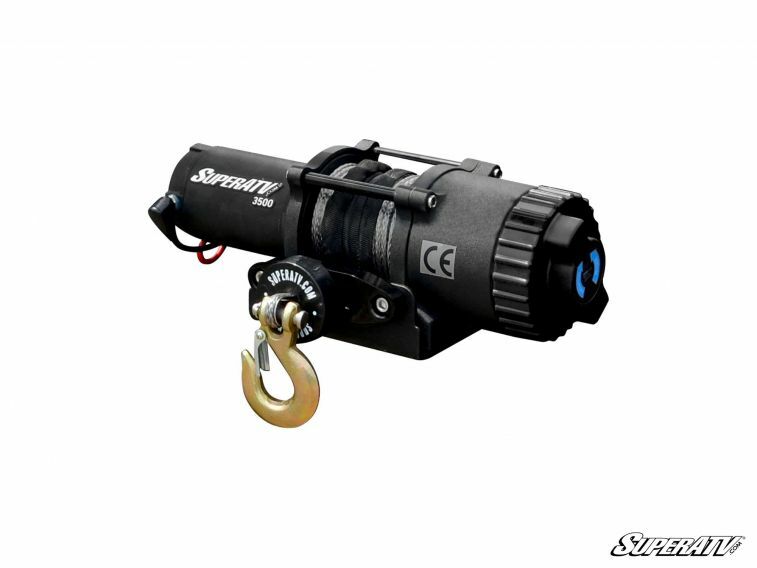 A: The winch plate is sold separately, it's an add on item on this page. Yes it includes a switch, remote and wiring. 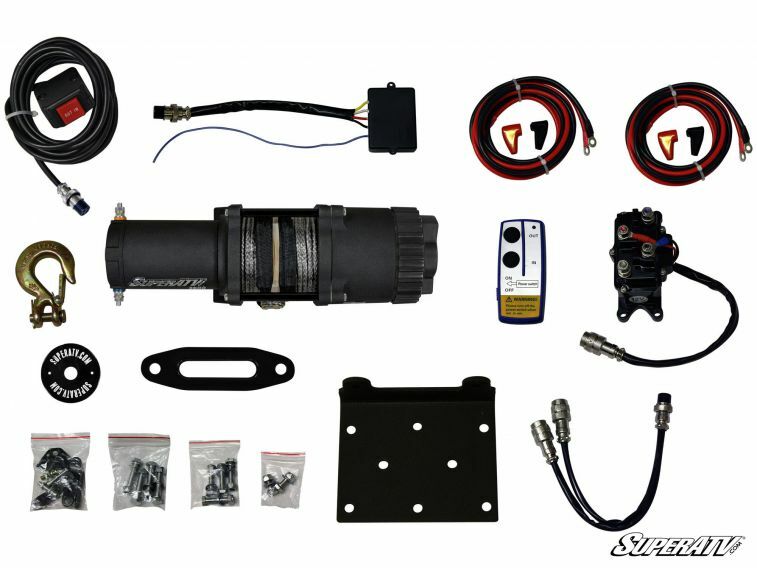 Q: Will this winch fit 2015 polaris rzr 900 ? Q: Will this work for 2016 yzx1000r? A: Yes it will, As long as you have a winch mount on your YXZ.